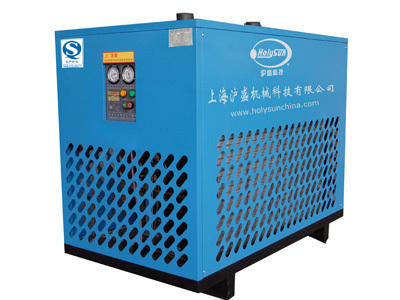 Holysun always focus on the energy saving, Frequency conversion dryer is our new contribution. It saves 40% energy compared to the common dryers. It starts from zero current and voltage in frequency conversion technology. Therefore, the high capacity of grid is reduced. It can control the exceeding temperature definitely by the adjustable expansion valve, ensuring the perfect working system.